Last Day to Order March 2017 Brick Loot + $5 Off Your First Box! Brick Loot Cyber Monday Deal – 20% Off 1 and 3-Month Subscriptions! Brick Loot Black Friday Deal – 18% Off All Subscriptions! 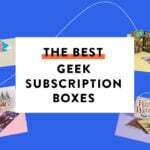 New Brick Loot Coupon – 15% Off Of Your Subscription! Brick Loot Black Friday Sale – 21% Off + Mystery Boxes!